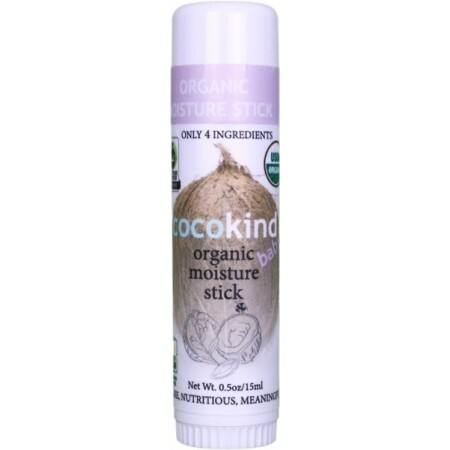 This Organic Moisture Stick helps lock in moisture and spot treat dry or rough areas. High in antioxidants and omega fatty acids, it provides key nutrients to your baby's skin. Perfect for on-the-go applications. 15ml. 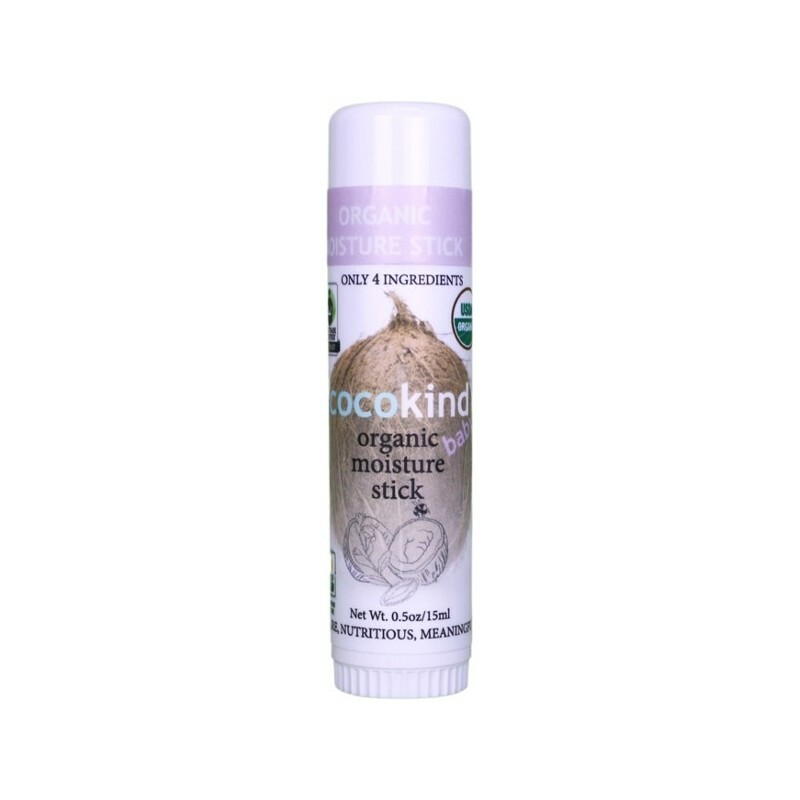 USDA Certified Organic with Fair Trade Certified Virgin Coconut oil. Virgin Coconut oil provides deep and long lasting moisture, contains essential fatty acids and proteins, promotes healthy skin cell growth, full of antioxidants to protect skin. Beeswax seals in moisture for long lasting nourishment and cts as a protective barrier on the skin’s surface. Baobab oil helps improve skin elasticity, contains Vitamins A, D, E & F and promotes rejuvenation of skin cells. Organic virgin coconut oil, organic yellow beeswax, organic baobab oil, organic evening primrose oil. 15ml (0.5oz). 9.5cm x 2.5cm. Plastic wind-up stick.